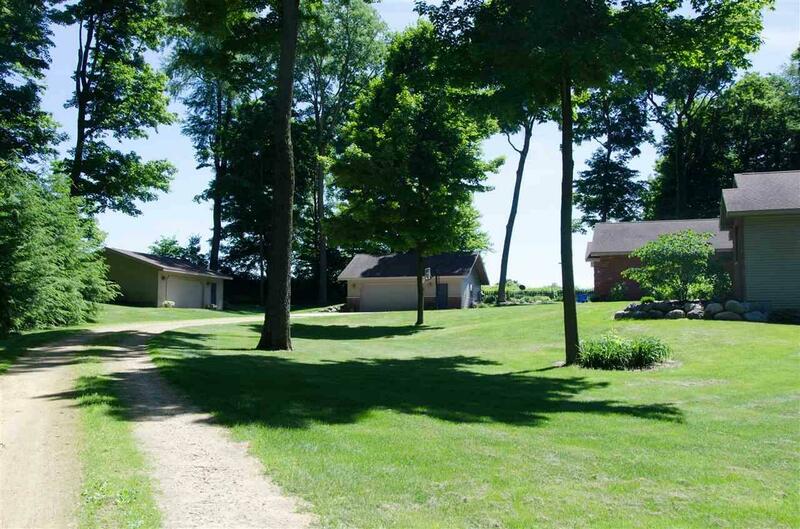 Stunning Executive Ranch Style home tucked away on a 5+ acre private wooded lot. This gorgeous 4 Bed 3 Bath Will Pick home has everything you're looking for. Tastefully appointment with high end finishes and plenty of drama. The floor to ceiling stone fireplace is the focal point of the vaulted ceiling living room. Huge gourmet kitchen and a perfect family layout with 3 main floor bedrooms and an additional lower level guest bedroom and full bath. Loads of storage in the unfinished part of the basement and the attached 2 car garage. If that's not enough, try TWO more 2 car shops/garages. WOW! This will go fast!